Alcoholism is often made worse by the way you talk, because your own voice in your own ears is more important and more influential to you than the voice of anyone else. Think about it: How do YOU sound to other people? Do you talk like someone who wants to be sober? Is that how other people really hear you? Or do you come across more as a wishful thinker? 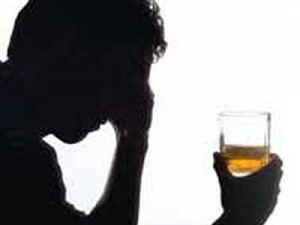 Someone who would like to be sober, would like to overcome their alcoholism, but doesn’t really expect to? When it comes to an alcohol addiction be very aware of how you speak to others. You must avoid statements such as “I’m trying to stop drinking” or “I could go for a drink”. Instead, focus on positive self-empowering statements such as “I no longer drink alcohol because I want to be healthy”. Or, “I’ve decided to cut back on my drinking”, as that reflects your desire to live a healthier lifestyle. The great thing about saying these self-empowering statements is that you are reinforcing your own resolve to quit drinking. This happens because the power of your own voice in your own ears reaffirms your commitment to change your life for the better. If you have decided to stop drinking alcohol then make sure you are speaking words to that effect. If you have decided to stop drinking during the week, and only drink moderately on the weekend, then make sure that in your statements to others you are stating exactly that. Basically, by making sure that your words match your intentions you are helping yourself keep a promise to yourself.